DJR: Tell us about your introduction to Darkover. LC: Way back when I was in middle school, some of the first books I ever ordered from the now-defunct Science Fiction Book Club were The Shattered Chain and Thendara House. Sword & sorcery, telepathy, court intrigue, and space travel all in one fictional world! It was like opening a box of chocolate truffles and discovering all my favorite flavors. LC: The Free Amazons grabbed my imagination. Rejecting the usual women's roles in favor of their own independence made even more sense compared to the Drylanders' custom of putting their women in literal chains. Darkover female characters were so much more complex and sympathetic than other women in the other genres I read then. Miss Marple remains one of my favorite characters thanks to traits she shares with the Free Amazons. She lives her life on her terms and she's nobody's fool. DJR: What inspired your story in Citadels of Darkover? LC: I knew one way to really upset the men of Darkover would be to make my main character a woman with a sword. I'm fond of Japanese history and culture, so it seemed quite natural to create Nakatomi Madoka, a female mercenary from a long line of samurai. The villain of the story who hires her has no idea he's about to grab a tiger by the tail. DJR: How did you balance writing in someone else’s world and being true to your own creative imagination? LC: There were elements of Darkover that I knew I wanted to include in the story. The Free Amazons, a big matrix crystal, a swordfight, and the Crystal Chamber itself. I laid out Madoka's wants and needs alongside these elements, then thought hard about solid story structure. Bringing all of these together into one story has been one of my most satisfying writing experiences. LC: I would love to write about Madoka's next adventure on Darkover, especially if it involves Keepers and matrix technology. Given how Madoka was raised by a father steeped in samurai culture, she gets the feudal hierarchy of Darkover, yet she also respects the Free Amazons and their lifestyle. Darkover has so much going on, it's quite exciting. LC: The Badger Epidemic, the latest short story in my Kyoto Steampunk series. On the novel front, I'm editing the first book in The Flower Maiden Saga, an historical romance series set in Japan of the late 1860s. DJR: What is your favorite of your published works and why? LC: The Wheel of Misfortune, which appears in Some Time Later, the third Clockwork Alchemy anthology, and is forthcoming in The Best Indie Speculative Fiction of 2017. 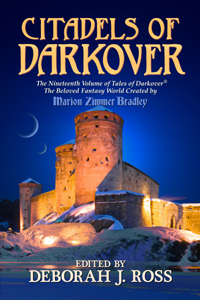 Dark Water -- Dies Infaustus, A Murder of Storytellers, Inc.
Ms. Csernica has published over forty short stories in such markets as Weird Tales, Fantastic Stories, and Killing It Softly 1 and 2. 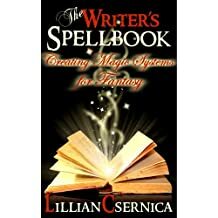 Her nonfiction how-to titles include The Writer's Spellbook and The Fright Factory. Born in San Diego, Ms. Csernica is a genuine California native. History is her passion, jewelry making her hobby, and glass blowing the next item on her Bucket List. She currently resides in the Santa Cruz mountains with her her husband, two sons, and three cats. Visit her at lillian888.wordpress.com.